Sadako Sasaki survived the 1945 Hiroshima bombing at age 2, but was diagnosed with leukemia in 1950, and died in 1955. 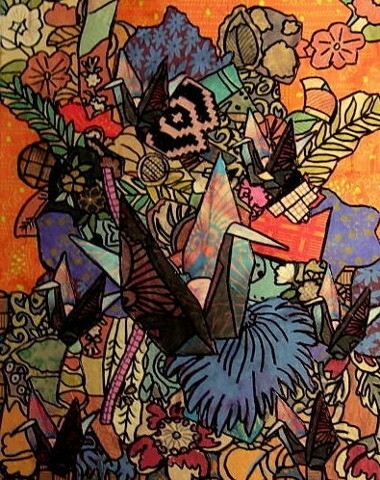 She became a symbol of healing because during her illness she folded 1,000 paper cranes, following the legend that if you do so, your heart's desire will come true. Every day school children visit the monument for the child victims of Hiroshima adorned with a statue of Sadako Sasaki holding up an origami crane. The museum receives millions of paper cranes from around the world.